IBS Intelligence - Blog: Payments: what is going on behind the scenes? The payments space has been the most frustrating to report on over the years. There is a collective groan in IBS Towers when the big payments conferences come around again. It feels like the same old people talking about the same old things. There will be lots of focus on the high-level issues, including that ‘FedEx’ comparison once more (we can see our parcels at any point in their journeys, why can’t we do the same with payments, particularly as these are electronic so should be easier to track than physical goods?). But when was the last time you heard a detailed case study at one of the events from a bank that has actually addressed and solved the issues? Meanwhile, of course (and there will be plenty of name-checks at the events), along have come the virtual currencies (with the ability to make payments and move value, including points and air miles), Paypal, e-wallets, Popmoney, Payoneer, Square, Earthport and others. 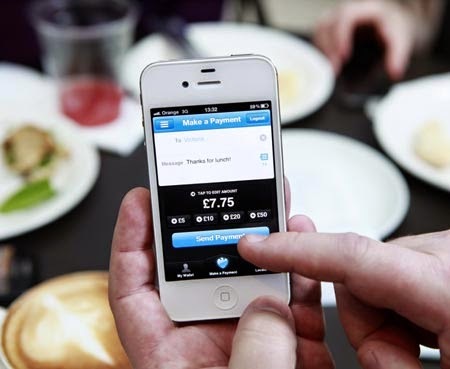 There are a few innovators among the banks, such as Barclays with Pingit (including the recent announcement of twitter payments via the Pingit app). But if you counted up the bank innovators on the fingers of two hands, you’d probably have several fingers left over. There is progress on a country-by-county basis, to be fair, with immediate payments to replace T+1, T+2 or worse. However, the threat of large-scale disintermediation by flexible, focused specialists hangs over an area that has traditionally provided a large proportion of banks’ revenues. Of course, Paypal and others have a current or demand deposit account at either end but is this what banks will be reduced to, just a settlement mechanism? Speaking at this week’s Fundtech EMEA user conference in London, Wipro’s global payments practice head, Mary Ann Francis, made the point that banks tend to ‘layer and layer, we’re not very good at transforming’. The world is moving forwards but banks are not. The blockchain technology that underpins Bitcoin is an example of this, representing a now tried, tested and sophisticated solution that is, effectively, a public ledger of all transactions. Meanwhile, it still takes days to make a cross-border payment via old routes. Customers are smart, Francis pointed out, but they don’t know what happens behind the scenes of their payments. They don’t know where the payments go or what happens to them on the journey. And the fact that the payment moves separately from the data continues to create a lot of reconciliation headaches. On the corporate side, in particular, those headaches are mounting, with ever more need to see not just whether or not a payment has been made but with a need for real-time transparency around liquidity and cashflows. Will new standards help? It was worrying at the Fundtech event to hear Barclays’ project manager, Barry Parker, suggest ‘ISO 20022 already feels out of date’. Corporates haven’t had input into it and banks are trying to squeeze diverse remittance formats into the standard. And, anyway, he felt, it will end up implemented in different ways so will become bastardised. Many banks are struggling with ISO 20022, so too with the back office implications of immediate payments. More layers are being added to legacy infrastructures and this feels light years away from the non-bank world. No doubt, at the upcoming payments conferences, the issues and concerns will be much talked about. But keep an eye out for those with answers, those who are actually doing something about it, they remain hard to spot. You can read more about what banks and regulators are doing in the latest free supplement from the IBS Journal by clicking here.